Pre-order – What have we bought now for January 22, 2019? Heartbreaker Bay is one of my favorite series. I started with book 2, but I went back and grabbed book 1. There have been a few hit or misses in the bunch, but Sadie has been one character I have wanted to know more about. Bring on my favorite author! LOL! He does look like he’d rather be elsewhere. I really liked this book. 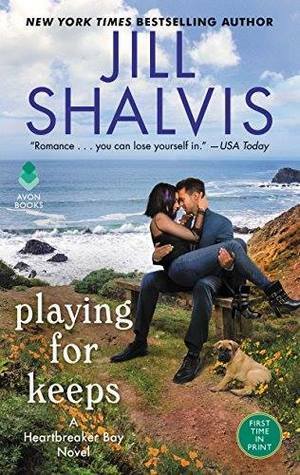 I mean, the meet cute with a three legged dog immediately pulled me it, and the charm, humor, and everything else we have grown to expect from Shalvis kept me there. Shalvis is a autobuy for me. Wish I could get her ARCs, lol. Just have to get through some life situations before I can get to it. I am reading this one right now and so far so good. I hope you enjoy this one, Shari! Thanks Carole. It might be a bit before I can get to it.